When Will the SEC Say Yes to a Bitcoin ETF? Some of my smartest lawyer friends insist that the SEC isn’t anti-crypto. They tell me that its hardline stance toward bitcoin-based ETFs stems from a mandate to protect investors. You are witnessing a crypto phenomenon, which may be intriguing but not personally compelling. You’re not a crypto believer. As a government worker, you have no sympathy for government haters. Nor is your understanding of bitcoin particularly deep. You’re not paid to give the benefit of the doubt to new investment classes. But it’s your job to follow crypto, so you’re aware of the hacks, the sometimes breathtaking volatility, the quilt of registered and unregistered cryptocurrency exchanges, the scammy ICOs, and the accusations of price manipulation. And you don’t feel any urgency to approve something before you’re 110% certain it’s ready for prime time. Is it any wonder that the SEC has rejected all ETF proposals to date? Nope. Thanks to my lawyer friends, I see the light. But my patience is running out. And as I’ve told these friends, if the SEC rejects the VanEck-SolidX bitcoin ETF proposal, I will be putting the SEC on my official naughty list. After I tell you why, I think you’ll fully agree with me. ETFs that get their price from over-the-counter (OTC) desks. The first ETF proposals were based on following prices on crypto exchanges. The SEC rejected them, saying the exchanges were susceptible to market manipulation. Companies then turned to futures contracts. That seemed like a good idea. They were run by the folks at the highly reputable CBOE (Chicago Board Options Exchange) in partnership with the Gemini exchange and CME (Chicago Mercantile Exchange) in partnership with Crypto Facilities. They fully complied with the high standards of the CFTC (Commodity Futures Trading Commission), which is sensitive to the concerns of the big and powerful institutional investors who trade billions of dollars on futures daily. The SEC rejected these proposals too, saying the futures market was not big enough to handle the large-scale investing activity a bitcoin ETF would engender. What was left? One company – VanEck – had a pretty good answer. 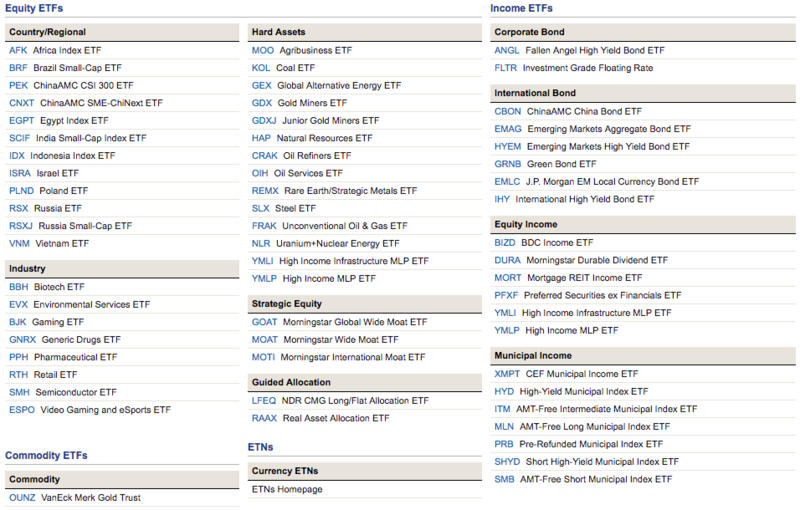 VanEck manages dozens of ETFs. It has developed 88 indexes on different asset classes. It manages some $46 billion in assets. It caters to thousands of institutional clients. A small, exclusive group of around 20 well-heeled investors has been making huge bets in bitcoin since last year. These guys don’t use exchanges. They do their trading in private via trading desks. They’re responsible for $250 million to $500 million in bitcoin being traded every day. This is the strongest bitcoin ETF proposal yet. But is it strong enough? VanEck must have doubts. Otherwise, it would not have bothered to meet with the SEC yet again last week. We’ll soon find out if VanEck has done enough to allay the SEC’s concerns on pricing and manipulation. The SEC has until February 27 to make a decision. It helps that VanEck’s proposed ETF is for “sophisticated” institutional investors. That lowers the bar. The SEC is more vigilant about protecting everyday investors. Still, the jury is very much out. The SEC is in no rush to greenlight its first bitcoin ETF. A “better safe than sorry” policy could put off an ETF approval once again. The SEC may even conclude that the VanEck proposal has all the pieces in place and still say no, wishing to see more of a track record of a well-functioning OTC market. But it’s hard NOT to envision a bitcoin ETF being approved sometime in 2019. I understand “better safe than sorry.” But it can’t be open-ended. It needs to come with an expiration date. And that date needs to be next year. Otherwise, the SEC will rightly be seen as clinging to a CYA “caution for caution’s sake” policy. And that simply is not acceptable.